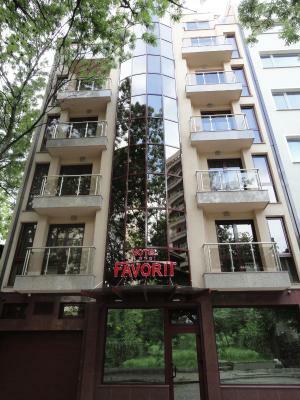 Lock in a great price for Favorit Hotel – rated 9 by recent guests! Location is 1 block from metro. Also 15 minute walk to center or just 1 metro stop. Metro $1.00. Very nice breakfast. My favorite hotel in Sophia, indeed a true jewel! Perfect in every way. 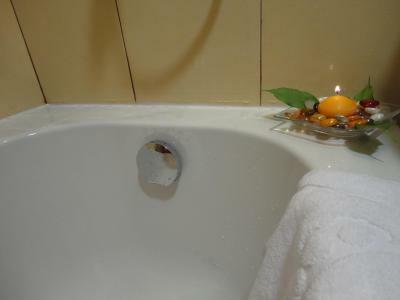 Great staff, beautiful facilities, clean, quiet, very comfortable. Very good breakfast. The neighborhood belies it's true value. 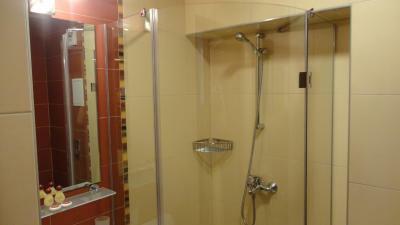 Close to metro and bus/train station and a relatively short walk to the center of downtown. Short distance to an open air market where you can buy fruits, vegetables, etc. Lots of small stores on the main streets. Location on a side street prevents hearing road noise nearby. 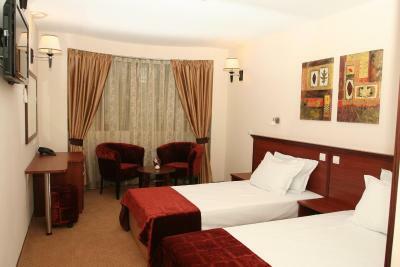 Comfortable one night stay. Staff is very accommodating. 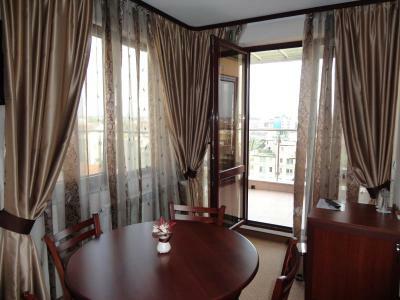 The room was pristine clean, spacious balconies overlooking the rooftops of the city. 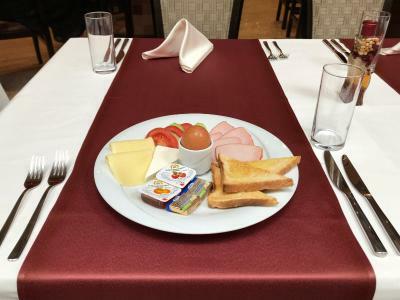 Delicious and filling continental breakfast, very close and convenient to the subway, and very friendly and helpful staff. Highly recommend! 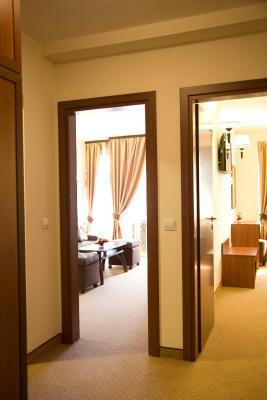 Well-equipped business hotel located about a 10-minute walk from Sofia Central Train Station. On a quiet, tree-lined street, so minimal noise. 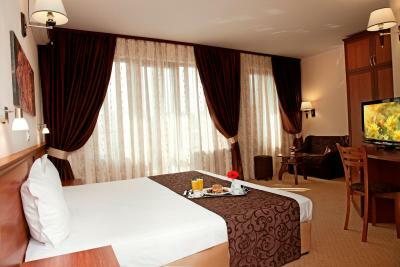 Room was well-equipped and comfortable. Breakfast was adequate. 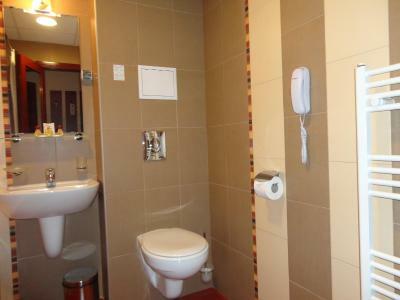 Metro stop is a few minutes by walk and can take you direct to the airport. 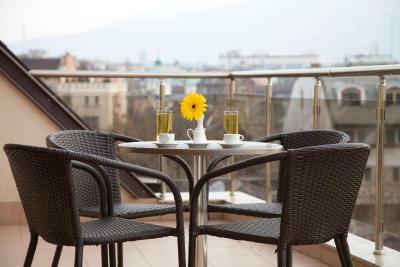 Within a 20-minute walking radius are many attractions including the Banya mosque, the Sofia City museum, National Archeology Museum and the St. Nevski Cathedral - all of which are recommended attractions to visit. Much more spacious than what I would expect. Clean room, equipped with all necessary amenities. Friendly staff. The staff was fantastic, very friendly and very helpful. The location of the hotel was as advertised, near enough to the center of town yet very peaceful at night. Check in was easy, and whenever we had questions, the staff were very friendly and helpful. 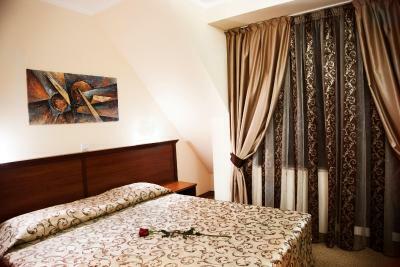 The room was perfect, with comfortable beds and a balcony with a city view. 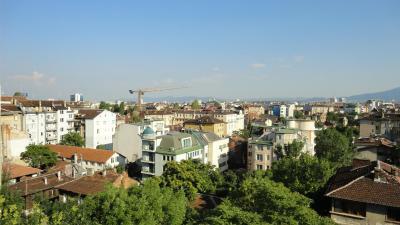 The location was convenient for sightseeing, and a metro station was close by. Breakfast was also very good. 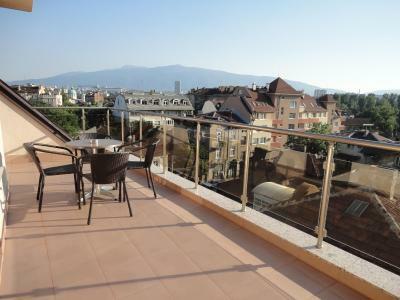 A very nice place to stay in Sofia! 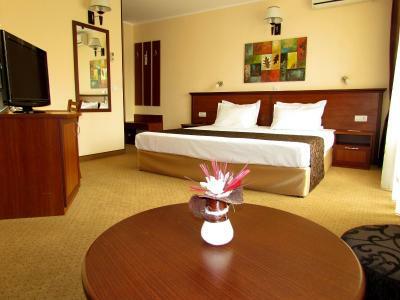 Favorit Hotel This rating is a reflection of how the property compares to the industry standard when it comes to price, facilities and services available. It's based on a self-evaluation by the property. Use this rating to help choose your stay! One of our top picks in Sofia.Set in a quiet sidestreet in the center of Sofia, Hotel Favorit is within a 900 feet radius from the central railway and bus stations and the Lavov Most Metro Station. 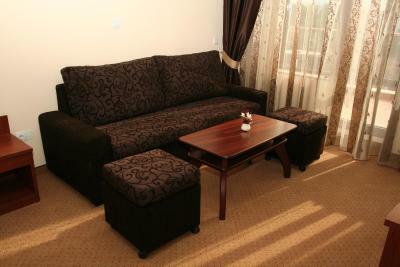 It offers free Wi-Fi, and a restaurant serving Bulgarian and international dishes. The city center is reachable within a 10-minute walk. 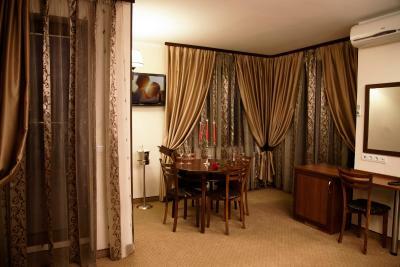 All of the elegantly furnished nonsmoking rooms come with flat-screen cable TV, individually controlled air conditioning and a mini bar. 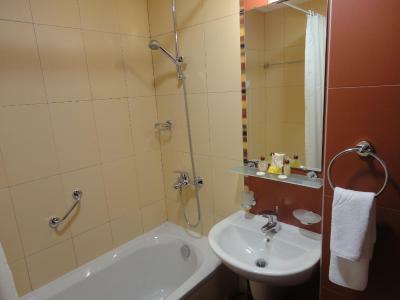 The bathroom is equipped with bathtub or shower and toiletries. 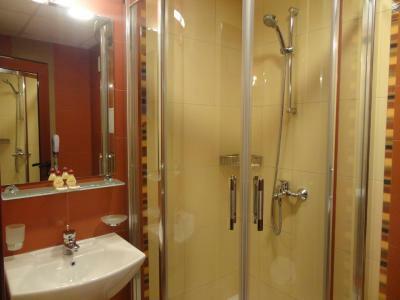 Central heating is provided in winter. 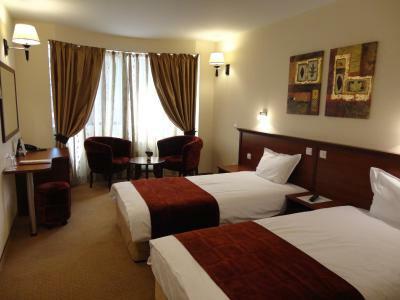 The international bus and the central train station are a short walk away. Guests can also go shopping at one of the main boulevards of Sofia. The Nezavisimost Square, Alexander Nevski Cathedral and most other sights are 0.7 mi away. 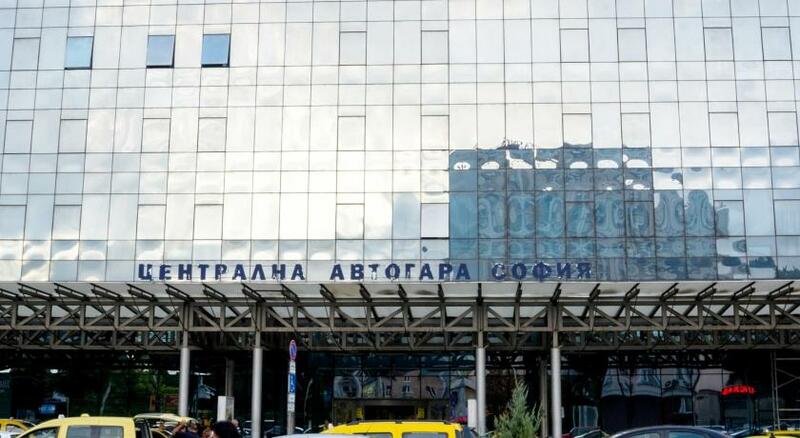 Sofia Airport is 6.8 mi from Hotel Favorit. 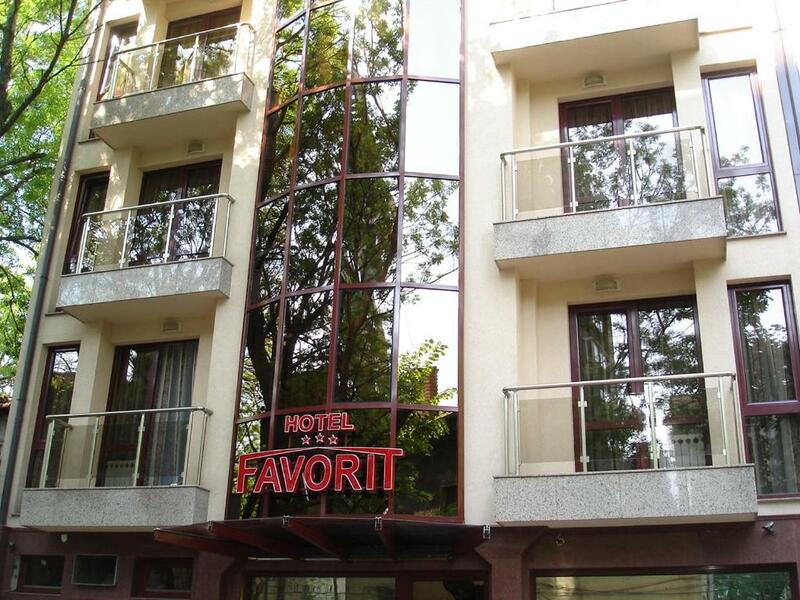 When would you like to stay at Favorit Hotel? 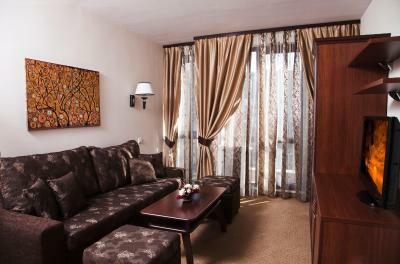 This room features a large double bed, a seating area with a sofa and a balcony. 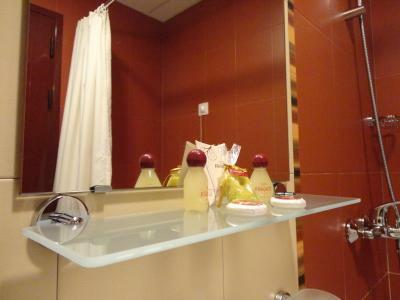 Amenities in this room include a bathrobe, slippers and toiletries. 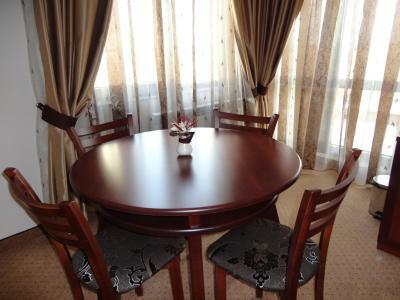 Public parking is available at a location nearby (reservation is not needed) and costs BGN 11 per day. 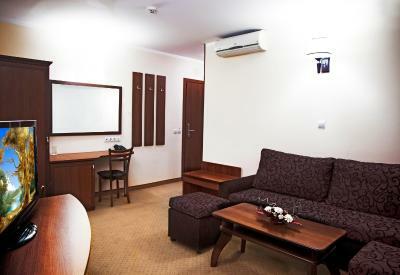 This twin room features a mini-bar, air conditioning and seating area. House Rules Favorit Hotel takes special requests – add in the next step! Favorit Hotel accepts these cards and reserves the right to temporarily hold an amount prior to arrival. Please inform Favorit Hotel of your expected arrival time in advance. You can use the Special Requests box when booking, or contact the property directly using the contact details in your confirmation. 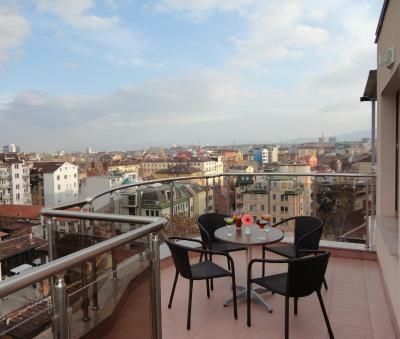 Very friendly reception, close to main station and downtown We got an unexpected upgrade to a nice apartment with great view over the roofs of Sofia - blagodarja!!! 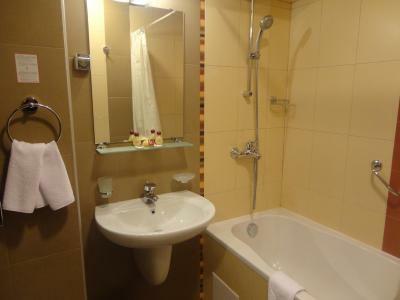 Great place to stay in Sofia, very clean hotel, the guys on reception super friendly and very helpful any questions and requests, we got upgrade room for free, guest's that stay at hotel can use free of charge the Ramada pool Will recommend this place and will come back in the future. Expensive transfer from Airport - 20 euro. At the airport you can take a taxi for 7 euro! The room have a terrible smell! It is impossible to breathe for more than 1 minute! The smell is not removed. I left the window open for 6 hours, but it did not get any better. I think the reason in carpets that are washed with some kind of liquid detergent. 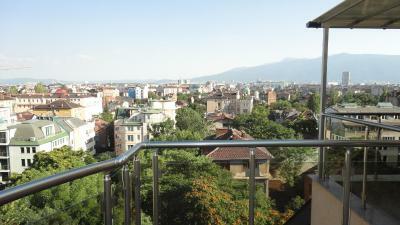 The manager provided another room with a worse view (balcony on the 1st floor directly to the neighbors). However, there was also a bad smell! There are no slippers and shoe sponges... All you need to ask it from manager! The only thing was the wifi router would reset exactly every 17 minutes. This wasn't convenient for working at all. 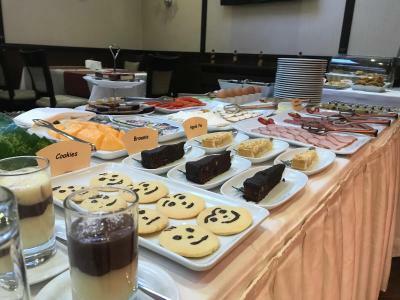 Really comfortable beds, nice touches like bath salts and smiley-face cookies at breakfast. Very friendly and accomodating staff. Balconies, good lighting and all the facilities you'd expect of a nice hotel. Neighborhood is somewhat rundown and some taxi drivers don't seem to know it's location. The food in the restaurant is fantastic value for money. 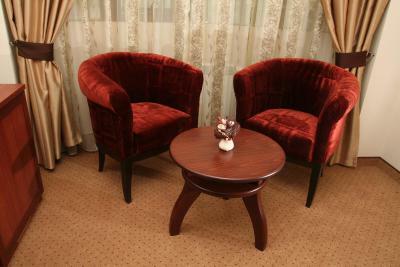 We could feel an authentic atmosphere in the hotel. Clean and very cozy. 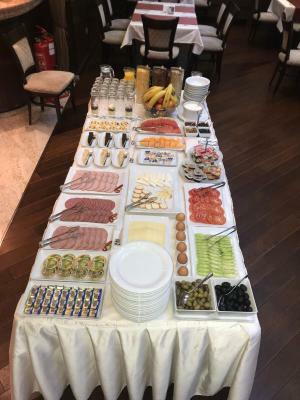 When we left very early in the morning, the staff gave us breakfast that they packed the privous night(you should mention it the previous night) very kind staff and a reasonable price. I highly recommend this hotel. It would be nice if there was a kettle in the room for the option of making a hot drink before bed. 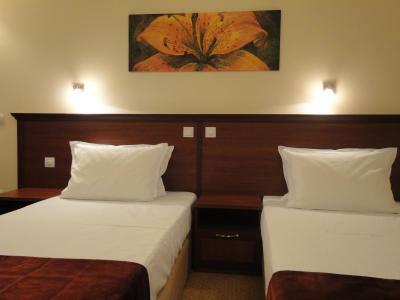 This hotel is amazing and offers the best option in Soifia. The staff is super helpful and friendly!!!! I really have to pay my much appreciations to them because they helped me a lot. If I were the owner, I will definitely raise their salary because they really did an amazing job. 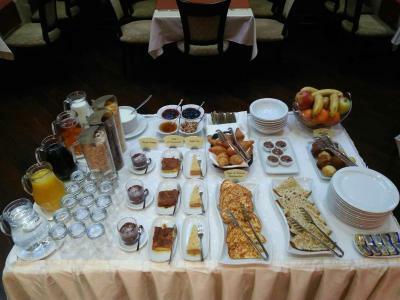 The breakfast is also very nice. Most important of all, the price is awesomely cheap with such an amazing service there. The staff are always very friendly and helpful. The beds are wonderfully comfortable. The restaurant is very good indeed! 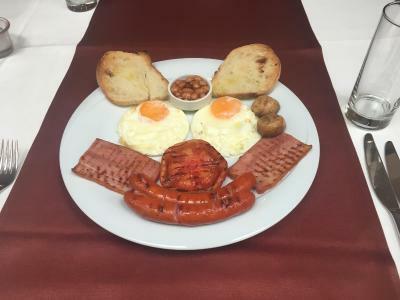 The breakfast is excellent too. 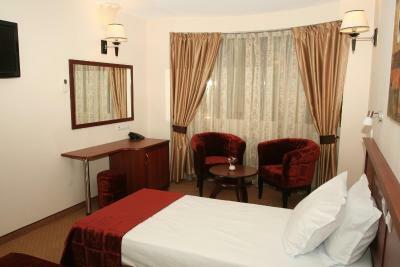 Rooms nice decor and always immaculately clean.